The Kyiv court of appeals has upheld the motion filed by the lawyer of Ukrainian Justice Minister Oleksandr Lavrynovych and cancelled the ruling of Kyiv's Pecherskyy district court to arrest him for two months. According to Interfax-Ukraine, the court of appeals took this decision on 27 September. With the same ruling, the court released Oleksandr Lavrynovych from custody. A week ago, the Prosecutor-General's Office declared ex-President Viktor Yanukovych and former Justice Minister Lavrynovych suspects in the case on the seizure of power during the so-called constitutional coup in 2010 when the 1996 constitution giving the president more powers was enacted. 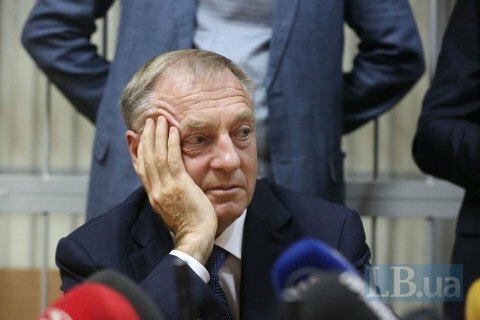 On 15 September, the Pecherskyy district court ruled that Lavrynovych should be taken into custody. What is behind Hungary's belligerent rhetoric on Ukraine?